The criticism by Phyllis Schlafly of the H-1B visa classification in H-1B Visas Take American Jobs is misplaced and is never put in any context so that the reader can appreciate the significance of the H-1B visa program. The H-1B visa is a temporary non-immigrant work visa restricted to professionals within a specialty occupation who are being paid at least the prevailing wage for the position as established by the United States Department of Labor. As a practical matter, the U. S. Department of Labor’s determination is always on the high side. Most employers’ reaction to the prevailing wage is that it is significantly above what is paid within their experience. Furthermore, the H-1B classification is restricted to 65,000 numbers per year. When you consider the size of the American economy, such number is insignificant. Most important, every American, including every American politician, will say, “We want individuals to immigrate legally,” and yet for all practical purposes, the H-1B classification is the principal way to immigrate legally except for individuals who have adult U. S. citizen children or a spouse or parents. You cannot have it both ways; you cannot say we want people to immigrate legally and yet oppose all legal options to do so. The reason we have large numbers of illegal aliens who enter the country to do non-professional work is because there is no viable legal system except for the limited number of professionals that can enter under the H-1B provision. Eliminate that and for all practical purposes, as a country we are saying we want people to come in legally, but we oppose any and all legal programs that would permit same. Large numbers of H-1B visas are used for researchers in the Medical Center, bilingual and Special Ed teachers in public and private schools, professors with unique skill sets in universities and yes, engineers and IT professionals. It is true that in a bad economy some engineers will go unemployed, which begs the question: why are other engineers being sponsored for H-1B visas? It is not because they are willing to work cheap or at a salary less than what U. S. workers are being paid. To the contrary, the cost of employing an H-1B worker is greater than hiring locally. Employers act in their own self-interest. If in fact there are qualified engineers available employers will not go through a complex legal process that requires additional cost and often payment of a salary greater than what the employer would be paying a local U. S. worker. If one believes in the free market, you must also believe that employers acting in their own self-interest are only hiring foreign nationals where they are not able to find the same skill set available to them in the U. S. market. With the rapid changes in technology undoubtedly there are U. S.-trained engineers that are unable to find a job as readily as more recent engineering graduates, but that has nothing to do with the H-1B program. The same engineers are primarily competing with younger U. S. engineers who have graduated more recently and who have training in areas that older engineers may not have received. There are a number of misstatements made by Ms. Schlafly. The H-1B program actually goes back to the 1970’s and was originally for individuals of distinguished merit and ability and was amended in 1990 for individual in specialty occupations requiring a minimum of a 4-year university degree. 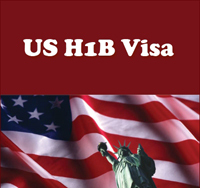 The number of H-1B visa applications was only then limited to 65,000 per year. It was never a requirement that the U. S. employer had to establish that they could not find a qualified and willing U. S. worker. That is only required if they wish to keep the H-1B worker longer than 6 years in order to qualify such individual for Lawful Permanent Residency. Another misunderstanding was there was never a requirement to “make it illegal for an employer to replace an American with an H-1B worker.” While that may happen, as a practical matter, it happens every day with U. S. workers. U. S. workers are replaced with other U. S. workers by employers and a very small, insignificant percentage of same would be replaced by a foreign national working in H-1B status. It would be unusual for a conservative to prefer the substitution of a governmental decision for an employer’s decision as to which worker is the most qualified for any given position at any given time. Ms. Schlafly is also wrong when she says big companies prefer H-1B workers because “they can pay them significantly less than Americans.” This is patently not true. By law, they must pay them the “prevailing wage” which is established by the U. S. Department of Labor and which tends to be much higher than what U. S. workers with similar education and experience are paid. The statement that, “Most H-1B workers are imported for entry level jobs and trained by experienced U. S. workers who are then laid off,” is purely anecdotal. While that may occur occasionally, to say that all professional foreign workers who enter the United States who come in at entry level are trained by an individual they are replacing is a gross overstatement. In fact, most H-1B workers come in either because of a unique, highly specialized training and experience or where U. S. workers are not readily available in the job market where there is simply a shortage of sufficient U. S. workers. Ms. Schlafly has no basis at all where she is quoted as saying, “Thousands of qualified Americans remain out of work while companies are incentivized to import foreign workers.” Nothing could be further from the truth. Companies are not incentivized in any way. In fact, the cost of employing a foreign national not only in terms of the cost for the legal representation of the company’s employees to acquire appropriate visa status, but the cost of transportation, housing, etc. causes the foreign worker in fact to be far more costly for the company. Companies act in their own self-interest. If there are available U. S. workers, it would be unusual for a U. S. company to hire a foreign worker if they could find a readily available qualified U. S. employee. Ms. Schlafly is also wrong when she infers that the spouses of U. S. workers are authorized to work or there is any proposal to allow them to do so. President Obama has supported expanding the H-1B’s and it has been supported by the leading Republican candidates for the presidency and a number of leading U. S. entrepreneurs, including Bill Gates who testified before Congress saying that it was impossible to qualify sufficient highy skilled IT professionals and that if Congress could not expand the H-1B quota, he would have no choice but to move Microsoft’s research center to Canada. When Congress failed to expand the numbers of H-1B workers, in fact Microsoft did set up a research center across the Washington State line in Canada where there were fewer restrictions on hiring the most qualified individuals. Microsoft was paying the highest salaries at that time, but still could not fill all available positions. Ms. Schlafly also says, “Some people are even pushing the ridiculous notion of stapling a green card to college diplomas where foreigners would automatically be allowed to stay and work in our country.” In fact, such statement has been widely attributed to columnist Thomas Friedman and has been quoted favorably by Governor Mitt Romney along with Speaker Newt Gingrich, but to paraphrase the real quote, it was, “When highly qualified individuals come to the United States, are trained in the United States and get advanced degrees, we should encourage them to remain in the United States rather than taking their knowledge back to their home country.” There are many studies that show that every professional that is fully employed in the U. S. pays substantially more sums into the U. S. government than they receive. So, it’s a net benefit for our country. The most ridiculous statement is the reference to the 57,000 Chinese undergraduates now in U. S. universities when she says, “Most of whom were admitted on the basis of fake transcripts and recommendation letters and awarded college degrees for which they did not qualify.” That would surprise major Ivy League and other great state universities where foreign students, particularly Chinese students, make up a very high percentage of graduate students in Master and PhD programs and who graduate at the top of their class. In short, Ms. Schlafly is more concerned with rhetoric than facts. You claim: "The H-1B visa is a . . . visa restricted to professionals within a specialty occupation . . . paid at least the prevailing wage"
Your first "facts" are technically true, however they mislead your reader into thinking "no problem here". Let's define "specialty occupation". The H-1b has been approved for "generalist" workers in healthcare and IT for since the inception. To someone outside of our profession "C# or Java Programmer" may seem like a specialist title. Inside our profession, this defines 90% of all developers. It's not so special yet most H-1b workers are junior level and bring little to no special skills. Next, lets look at "prevailing wage" that is often cited. Prevailing wage is defined legally well below "market wage". Prevailing wage for most H-1b workers at "body shops" has become the defacto wage. In short, studies have proven that most H-1b workers are paid below their American counterparts in the same occupation - unless of course you cherry pick data and refer to a study by a front group called NFAP. NFAP's president comes from another front group made famous for publishing studies claiming tobacco was healthy for you. In short, be careful where you get your "facts". NFAP won't reveal where their money comes from; they clearly have an agenda. You may find true specialists who are paid very well on the H-1b visa, but that does not define most workers. Look at the base of the H-1b workforce, not the pinnacle. Otherwise your arguments also nothing but rhetoric. There is no priority given to the highest paid or most specialized workers. Visas are processed in the order they are received. "the H-1B classification is restricted to 65,000 numbers per year"
This is not a fact. This is an untrue statement. The H-1b classification has a baseline of 65,000 per year. There are 20,000 more alloted to graduate level students. There are more carved out for free trade agreements. Then, there are those exempt from the cap entirely - for example college professors, academia, non-profits, and some healthcare occupations. The exemptions routinely exceed the non-exemptions in overall approvals. So take your number of 65,000 and triple it if you want a reliable number. Also consider that many companies have been using another visa inappropriately - called the L-1 visa - with no prevailing wage requirements and no caps. This is suppose to be an "executive visa" yet you'll find many junior level software developers on this visa. This is a way to circumvent H-1b labor protections. "You cannot have it both ways; you cannot say we want people to immigrate legally and yet oppose all legal options to do so." Expanding a program that gives employers leverage over their workers and denying them basic labor rights is not true immigration. The H-1b is more like indentured servitude. This is a "non-immigration visa" in fact so to call this a legal route to immigration is silly and misleading. The intent of this visa was to fill shortages and instead it has become a labor arbitrage tool. If you truly care about legal immigrants you would take employers out of the equation, do away with "guest worker" programs, and simply allow people to immigrate with no strings attached to an employer. If you want a probationary immigration program, that's fine - but anyone working in this country should have the labor protections afforded everyone else and not under the thumb of their sponsoring employer. The reason the H-1b is so harmful is because of the sponsorship provisions. How likely are you to negotiate for better wages, benefits, or working conditions if your employer can threaten you with ending their sponsorship? Not very.
" It is not because they are willing to work cheap or at a salary less than what U. S. workers are being paid. To the contrary, the cost of employing an H-1B worker is greater than hiring locally." That's simply not true. When you consider the total costs, the fees do not offset the savings. Studies by Miano, Matloff, and Hira go into great detail about this in their research, yet your side repeats the same unproven untruths that you can't back with independent data. You may turn to a front group or Vivek Wadhwa, but find an independent source. "If one believes in the free market, you must also believe that employers acting in their own self-interest are only hiring foreign nationals where they are not able to find the same skill set available to them in the U. S. market. " Once again, not true. Evidenced by independent studies in academia. If one believes in the free market, one would also oppose EMPLOYER SPONSORSHIP. So do you really believe in the free market, or only when it supports your argument? "It was never a requirement that the U. S. employer had to establish that they could not find a qualified and willing U. S. worker. " I'm glad you pointed that out. "Another misunderstanding was there was never a requirement to “make it illegal for an employer to replace an American with an H-1B worker.”"
"U. S. workers are replaced with other U. S. workers by employers and a very small, insignificant percentage of same would be replaced by a foreign national working in H-1B status." Insignificant if you measure the entire workforce, true. But if you look at occupations where H-1b workers are concentrated such as IT, academia, and healthcare it is very significant. IT has used the shortage argument for years, and systematically replaced American workers. People want Americans to pursue STEM careers yet they make STEM careers the least rewarding by increasing the supply of the workforce. No matter what you say about the salaries, you must agree that increasing the supply of a worker will also decrease the demand for that particular skill. Your argument completely ignores the demand side of the equation and key reasons why the H-1b harms American wages. "This is patently not true. By law, they must pay them the “prevailing wage” which is established by the U. S. Department of Labor and which tends to be much higher than what U. S. workers with similar education and experience are paid." Adding "patently untrue" to your argument doesn't make your misstatement true. Again, independent studies detail the lower wages of H-1b workers with very few exceptions. The exceptions have been subject to much scrutiny. The vast majority of research on both sides seems to agree on one thing - lower wages.
" “Most H-1B workers are imported for entry level jobs and trained by experienced U. S. workers who are then laid off,” is purely anecdotal." No, that is not anecdotal. It is based on LCA applications and research by Berry and Miano. LCA applications list the level (1-4) and most are level 1 (lowest tier, least experience). Look at the data and stop lying to people. Please. I will make one more point. If you look at the top sponsors of H-1b visas most are involved primarily in offshore outsourcing as a primary or major part of their business model. This is becoming known as the "offshoring visa" and the companies complaining the most about restrictions are Indian offshore outsourcing firms. That's no coincidence. That's also a fact that can be easily proven. Your "rebuttal" is so filled with misinformation I've got to stop here. I highly suggest you do some basic research and stop rehashing NFAP and ITAA talking points. You are dangerously wrong on this matter and are not making fact based arguments. You are doing the exact thing you accused Schafly of doing. 1) He has omitted that the 8 USC 1182(p) allows the "prevailing wage" to be based on 4 wage levels, with most employers picking the lowest wage level, giving a "prevailing wage" that is significantly lower than the actual prevailing wage. Actually there have been numerous articles written about Turkish teachers being brought here to instruct children in the Gulen schools. They have been shown to be substandard and have been brought here while it is common knowledge many school districts have laid off teachers due to funding shortages. Additionally, these Turkish schools (funded with taxpayer money) have demonstrated prejudicial awarding of construction contracts to Turkish contractors who routinely run over budget. More than 120 charter schools in 25 states have been founded by followers of Fethullah Gullen, an Islamic leader exiled by Turkey. Federal agents are investigating whether teachers imported from Turkey have been forced to kickback money to a Muslim movement known as Hizmet. The FBI and Departments of Labor and Education investigators are involved, reports the Philadelphia Inquirer. Charles Foster Has Got it Wrong. Most of the H-1Bs are from third world countries like India. The wages being paid are attractive to third world citizens whereas they are too low to attract Europeans. Moreover, the H-1B is issued to the employer not the person. Therefore an the employee cannot move around freely in the open market to achieve the best salary, nor can he negotiate a better salary from his current employer by threatening to leave. Thus economic principle alone shows that on average the H-1Bs make less than they would on the open market. The annual limit is not 65,000 a year. The limit was 65,000 per year from 1990 to 2000. 2001, 2002, and 2003 the limit was 195,000. From then an additional 20,000 per year were added for those with advanced degrees from US schools, and a new E-3 visa was created to allow an additional 10,500 per year form Australia. So the cap is really 95,500 per year. Then there are certain non-profits like universities to which the cap does not apply. In reality it is about 140,000 per year. Well over 2 million have entered the country. This number should be compared not to the size of the American economy but to the size of the specialty occupations where H-1Bs are, as Phyllis Schlafly points out, taking American jobs. The number of H-1Bs is plenty large enough to suppress American wages. Mr. Foster presents a false choice of legal or illegal immigration. We can indeed oppose the taking of American jobs by illegal immigration. Immigration, legal or illegal should not disadvantage American job seekers nor should it be allowed to suppress wages. This is not a case of having it both ways. Cancel the H-1B and close the border. There is nothing inconsistent here. "Unless prompt action is taken, a sharply increased demand for Ph.D.s in the United States will outstrip a comparatively level supply before the turn of the century. Industry, government, and universities will be pitted against each other in a battle for this critical human resource, and the entire nation will pay the price -- diminished leadership and competitive strength"
Note that a market based solution would have a lag in supply while students observed the higher wages and then prepared themselves for the new opportunities. This would cause an overshoot in wages before the additional supply was ready. Ironically Reagan era bureaucrats looked at this and rejected a market based solution. If not a market solution then what? The unholy trinity industry, government, and universities backed by a fake study from NSF and each seeking to avoid paying Americans a market wage encouraged Congress to flood the scientist and engineers. The result was the H-1B visa and foreign students in our graduate schools. Industry fronted the money. After the H-1B increase in 2000 a Senator remarked "Once it's clear (the H-1B visa bill) is going to get through, everybody signs up so nobody can be in the position of being accused of being against high tech. There were, in fact, a whole lot of folks against it, but because they are tapping the high-tech community for campaign contributions, they don't want to admit that in public" A Congressman added "This is not a popular bill with the public. It's popular with the CEOs. This is a very important issue for the high-tech executives who give the money." "A growing influx of foreign PhD's into U.S. labor markets will hold down the level of PhD salaries to the extent that foreign students are attracted to U.S. doctoral programs as a way of immigrating to the U.S.. A related point is that for this group the PhD salary premium is much higher [than it is for Americans], because it is based on BS-level pay in students' home nations versus PhD-level pay in the U.S. .. "
"[If] doctoral studies are failing to appeal to a large (or growing) percentage of the best citizen baccalaureates, then a key issue is pay. The relatively modest salary premium for acquiring an NS & E PhD may be too low to attract a number of able potential graduate students. A number of these will select alternative career paths outside of NS & E, by choosing to acquire a "professional" degree in business or law, or by switching into management as rapidly as possible after gaining employment in private industry. For these baccalaureates, the effective premium for acquiring a PhD may actually be negative. Serious attention should be given to this interpretation." May actually be negative? For a PhD in computer science it is. Employers will not pay enough for an American to make up the difference of lost wages while acquiring a PhD. Employers caused the lack of Americans in graduate school. They should not be allowed to benefit from their wrongdoing. As a member of the insignificant percentages, how dare you even waste your time to write on such a paltry topic? "Furthermore, the H-1B classification is restricted to 65,000 numbers per year." And the wheel keeps on spinning 'round. It's not hard and fast but always suspicious when the 65,000 cap is passed as THE limit (though I will note that Ms. Schlafly did not address this either). First, there are an additional 20,000 that go to master's-plus holders. Second, a significant number of non-profits and government organizations are exempt. "When you consider the size of the American economy, such number is insignificant." When you consider your argument against the size of the universe, it is insignificant so why do you make it? You compare apples to a farmers' market. Challenges to the H-1b are not about how it is single-handedly destroying the economy. Its abuse has been greatly felt in much smaller microcosms than "the [entire] American economy". It's already run roughshod over the IT industry. Even today, over half of the capped visas are being handed out in India--a nation that is primarily sending IT workers. But you most certainly CAN oppose the current definitions and abuse of the legal options. Some of your points on illegals are a bit off the mark as well, but I will focus on the professional visa issue. It is clever indeed how you point to the wide array of uses of this visa followed by their primary use, "yes, engineers and IT professionals" being listed nearly as an aside. It reads as an attempt to trivialize the single most impactful area of the visa. "It is not because they are willing to work cheap or at a salary less than what U. S. workers are being paid. To the contrary, the cost of employing an H-1B worker is greater than hiring locally. " Oftentimes, yes, but it is very naive to believe that simply because the law speaks to it, that the intent of said law is strictly adhered to. I've watched offshoring companies hiring at a rate of 90% Indian-born charge a minority fraction of the price of their competitors for their onshored talent. As to additional costs, there are some--and they amount to a fraction of a percent of the cost of hiring someone at the prevailing wage. "If one believes in the free market, you must also believe that employers acting in their own self-interest are only hiring foreign nationals where they are not able to find the same skill set available to them in the U. S. market." That and unicorns and leprechauns. Actually, all you MUST believe in is that they indeed act in in their own self-interest. You don't even make an ATTEMPT to address ethnicism, ageism and indentured servitude. You simply jump to the conclusion that the only way they would do this is the one that conveniently supports your point. "The same engineers are primarily competing with younger U. S. engineers who have graduated more recently and who have training in areas that older engineers may not have received." Speaking of ageism, seriously? How many technologists do you know? Do you think we all graduated in the 60's and never picked up a book or read an article since? And what are these budding technologies that banks with 30-year old computer systems are jumping to anyway? Care to make any grossly inaccurate race, gender or sexual orientation generalizations while you're at it? "U. S. workers are replaced with other U. S. workers by employers and a very small, insignificant percentage of same would be replaced by a foreign national working in H-1B status " Again you compare apples to fruit markets. The IT industry has more than an "insignificant percentage" of these workers. Please either speak to the topic at hand or admit it is inconsequential enough for your apparently valuable and macro-focused time. And you seem to indicate that because we already compete with citizens then the doors are suddenly open to any and all who want in. What does citizenship mean to you? "This is patently not true. By law, they must pay them the “prevailing wage”..." And it's back to unicorns and leprechauns. Many do pay fairly. But enough do not to have a real impact in my insignificant field (it's called Information Technology--a new insignificant thing that may be coming your way along with the "interweb"). Inflating the labor pool to conveniently get around those pesky experienced workers is one tactic. How did a company in NH with 150 H-1b software engineers last year fail to pay ONE of them within 10% of a senior level salary? There are MANY other such stories, but again, you lift your shield of naivite and claim the intent of the law is never abused apparently because it was written down. I will grant that portraying this as an almost never legitimate visa is a stretch, but just as Ms. Schlafly inflates, you hyperbolize to suit your point. Case in point: "In fact, most H-1B workers come in either because of a unique, highly specialized training and experience" Most are IT workers. Believe what you want about their talent levels, but you flatter me too much to use such words about me. I am bright, but not performing some nearly unique set of work. Same for them. You also raise Microsoft without suggesting any fault in the decisions to concentrate a significant share of a trained-worker-dependent industry on a couple of postage stamps on the far side of a mainland that spans four time zones. Meanwhile, with wage suppression, we're now seeing stories of similar work being moved to Detroit. Your repeated theme that companies follow their own interests is an accurate one, but however insignificant you find the numbers to be or anecdotal the evidence, to those few million of us in the IT arena--one without which modern companies could not exist--the impacts have been very real. You are wrong. H-1B DOES take jobs from US workers. Phyllis is right, you are wrong. If one looks at the The National Center for Education Statistics data on U.S. citizen and permanent resident STEM related degrees conferred in 2008 and 2009, then compares that with the Office of Employment Statistics data on occupation employment level year-over-year gain/loss between 2009 and 2010, and then looks at the Foreign Labor Certification Annual Report 2010 that lists the occupations with more than 1000 permanent (residence) labor certifications, one will ask why the discrepancy between this rebuttal and the data. For the sake of brevity, I will only post the data for degrees conferred in Computer and Information Sciences and Support Services, the occupation gain/loss in the corresponding occupations, and the number of permanent (residence) labor certifications. So the graduation levels for Computer and Information Sciences and Support Services was 152,489 US citizen graduates. Unfortunately for them, there was an aggregate net loss of 52,230 jobs in the computer and information sciences occupations. And yet these very same occupations had 23,016 foreign labor applicants. Even in the specific occupations that showed an increase in employment growth, foreign labor applicants exceeded employment growth. This fact absolutely disproves the labor shortage thesis. Take Computer Software Engineers, Applications, for example: if 9,854 immigrants were added to the employment roles and the employment levels only rose by 3,780 there are 6,074 Computer Software Engineers, Applications specialists who are now unemployed. Please explain the discrepancy between your rebuttal and the data. Charles C. Foster is Co-Chairman of Foster Quan, LLP (formerly Tindall & Foster, P.C. ), and head of the Immigration Law Section of the firm. He is also the honorary Consul General of the <?xml:namespace prefix = st1 ns = "urn:schemas-microsoft-com:office:smarttags" />Kingdom of Thailand. A native of Galveston, Mr. Foster received his Bachelors Degree from the University of Texas and his Juris Doctorate from the University of Texas School of Law. Mr. Foster serves as a Board member and is past national President of the American Immigration Lawyers Association, Chairman of the American Bar Association Coordinating Committee on Immigration law and Vice Chairman of the Houston Bar Foundation. During the 2000 Presidential Campaign, Mr. Foster served as the principal advisor to President Bush on U. S. immigration policy. He is Chairman of the Asia Society-Texas Center and past Chairman of the Houston International Festival and past President of the Houston Forum and the Houston Club. He is a Director of the Greater Houston Partnership and past Chairman of its Economic Development and World Trade Divisions. He is also Director of the Mexican Institute of Greater Houston, the Greater Houston Preservation Alliance, Institute of International Education, Houston Ballet, Houston International Festival, University of Texas Medical Branch, InterFaith Ministries and Neighborhood Centers. He is a Trustee of the Asia Society-New York, member of the Council on Foreign Relations in New York and past Director and officer of the Houston World Affairs Council and the Houston Holocaust Museum. He developed and co-chaired the George Bush Monument in Sesquicentennial Park, Houston. He is a recipient of 4 Royal decorations from His Majesty the King of Thailand; he received the 2000 Distinguished Friends of China Award; the 1996 International Service Award of the Houston Junior Chamber of Commerce; was the 1998 Honoree of the American Immigration Law Foundation for Excellence in the Practice of Immigration Law; and the recipient of the 2007 American Jewish Committee Institute of Human Relations Award. He was designated a ”Texas Super Lawyer” 2003-2008 by Texas Monthly magazine and the “Top Notch Lawyer in Immigration” in the Texas Lawyer "Go To Lawyers Guide" published 2002 and subsequently in 2008, as well as Who’s Who In American Law and the No.1 Ranked Immigration Lawyer in Texas by Chambers USA 2006, 2007, 2008. Mr. Foster is married to Lily Foster and they have two children. Mr. Foster is absolutely right.